JJ at Bob Lee Bows explains the importance of calculating the correct Grains Per Pound (GPP) for the arrows you pair with your traditional bow, and he’ll explain why Grains Per Inch (GPI) is so often confused with this critical measurement and how to distinguish between the two for the best performance (and protection) of your recurve or longbow. 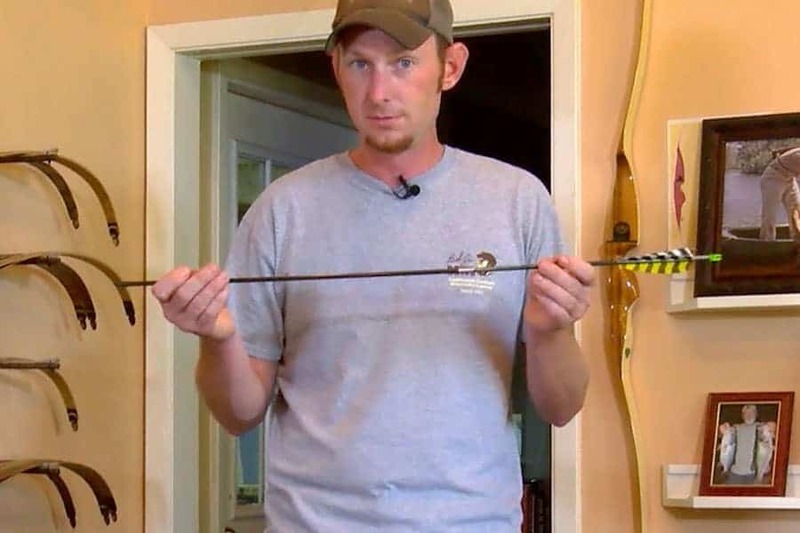 Category: Arrows, Bowhunting, Outfitting your Bob Lee Bow, Traditional Archery, Videos | Tags: arrows, Bob Lee, JJ, recurve, Rob Lee, take down, takedown, wing archery. Get Sale Notices and News! From the first Wing bow built in 1951 to today's nationally-acclaimed models, the name Bob Lee represents renowned recurves and longbows as well as the iconic legacy of the pioneer behind the name. At age 90, Bob Lee remains passionate about his beloved bows. After 30+ years as his dad's apprentice, Bob's son Rob continues the tradition of finely-crafted bows, along with Rob's wife Jenni and their son J.J. beside him at the Bob Lee helm. Makers of traditional recurves and longbows. All Rights Reserved.